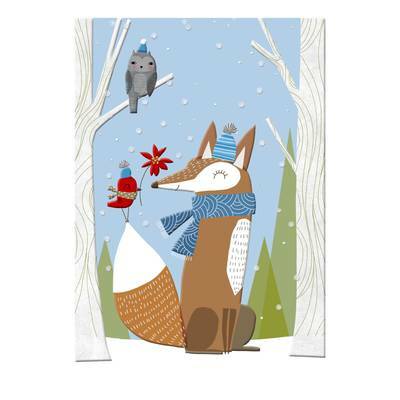 A fox enjoys a winter day in the company of his feathered friends. Sentiment inside reads 'May your season have many warm and happy moments'. Embossed with iridescent micro-glitter. 12 cards, 13 envelopes.